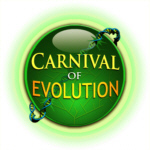 The Carnival of Evolution #38 is up! And it’s a doozy! I know I say something like that every month and I mean it, but this time it’s truer than ever. This months host is the estimable Larry Moran (Professor in the Department of Biochemistry at the University of Toronto) on his excellent blog Sandwalk. There are lots and lots of great links to evolution related articles for you to peruse (even if none of them are mine because my opus on creationists and arthropods keeps getting longer and longer). As a bit of housekeeping I am going to list links to the past CoE below so I can clean up the blog a bit (all those green glowy spheres make me feel bad about not being more productive /honest self reflection). 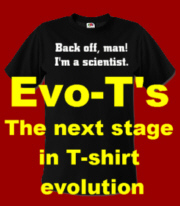 This entry was posted in Biology, Blogging, Defending evolution, Education, Evolution, Natural selection and tagged blog carnival, Blogging, Carnival of Evolution, evolution, Larry Moran, Sandwalk. Bookmark the permalink.